Seahawks made a few moves Tuesday that appear designed as insurance due to injuries to other players. The Seahawks made two roster moves Tuesday, and while speculation also grew about whether they might be interested in a reunion with 2012 first-round pick Bruce Irvin, who officially became a free agent when he passed through waivers, those hopes were dashed Wednesday morning when it was learned Irvin had instead signed with Atlanta. The Falcons officially announced the move Wednesday morning with Irvin saying via Twitter that he chose the Falcons because it is his hometown. Irvin was waived by the Raiders on Monday and no team claimed him, not wanting to pay his $3.8 million salary for the rest of the season (a duty that now falls back on the Raiders). That made Irvin a free agent and free to pick any team to play for. ESPN reported Irvin signed a one-year contract with Atlanta and he told ESPN that he turned down more lucrative offers from the Patriots and Steelers. The NFL Networkalso reported that the Seahawks were among the teams that “tried” to sign him. The NFL Network reported that Irvin signed a pro-rated one-year deal with Atlanta that will pay him $1.5 million over the final eight games, which he adds on top of the $3.8 million that the Raiders have to pay him the rest of the season. Seattle may not have been willing or able to go that high with a listed cap space of $3.1 million entering the day (though Atlanta had only $2.6 million). The Seahawks unquestionably need to improve their pass rush but may also be willing to take their chances and hope for improvement from some of their younger players, such as third-round pick Rasheem Green, who saw his first action in more than a month Sunday against the Chargers after battling a sprained ankle. Meanwhile, Seattle announced Tuesday it had promoted cornerback Kalan Reed from the practice squad and waived linebacker Emmanuel Ellerbee to make room. Ellerbee, claimed off waivers from the Browns on Oct. 22, played 13 snaps on special teams Sunday for the Seahawks. Seattle has decent depth at linebacker again with K.J. Wright having made it back from knee surgery to play the past two weeks and Seattle also getting word that Mychal Kendricks will be eligible to play the final four games of the season. Ellerbee could be a candidate to re-sign to the practice squad if he clears waivers and stays in the system. The team is likely promoting Reed as insurance if Neiko Thorpe, who has missed the past two games with a groin injury, remains out. Also, the Seahawks face a Rams team Sunday that largely plays three-receiver sets, meaning Seattle will likely be in the nickel frequently. Reed would give Seattle a fifth healthy corner if Thorpe remains out. Reed, a third-year player from Southern Miss, played in seven games for the Titans over the past two seasons. 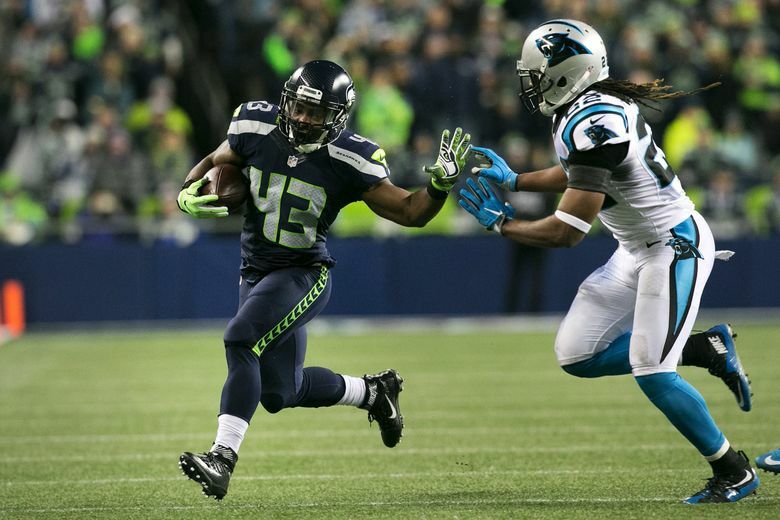 Seattle also re-signed running back Troymaine Pope to the practice squad and cut tight end Tyrone Swoopes. Pope was a standout of the Seahawks’ 2016 preseason, leading the team in rushing with 162 yards on 24 carries before being waived and claimed by the Jets. After the Jets waived him, he was re-signed by Seattle and played in three games in 2016, gaining 43 yards on 11 carries, before suffering an ankle injury and finishing the season on injured reserve. Seattle then released him on June 1, 2017. Pope has also been on the rosters of the Colts and Texans the past two years but hasn’t played in a game since 2016. He was cut by Houston on Sept. 3. Pope adds depth at a tailback spot where Seattle is unsure about the health of starter Chris Carson, who did not play in the second half last week due to a hip injury. Coach Pete Carroll was vague on whether Carson will play Sunday against the Rams. Seattle will also be without J.D. McKissic, who has been on injured reserve all season, for one more week and Carroll said next week is the earliest he might return to practice. Seattle has three other tailbacks on its roster: Mike Davis, Rashaad Penny and C.J. Prosise. Swoopes played against the Raiders, catching one pass for 23 yards, but was waived to make room for the return of Ed Dickson.